JUST OVER 12,000 lenders drew down mortgages – worth an average of €217,553 – in the three months up to December according to new figures, an increase of almost 20% on the same period last year. Last month, the number of people seeking approval to buy a home showed signs of slowing down but the Banking & Payments Federation Ireland (BPFI) has put this is down to “seasonal factors” and expects to see continued growth in 2019. Drawdown figures from the BPFI for the fourth quarter of 2018 show that 12,112 mortgages worth €2.6 billion, or an average of €217,553, were drawn down during the period. This represents an increase of 17% in volume and 18.2% in value on the same quarter in 2017. It also represents an increase of 11.4% in volume and 11.3% in value compared with the previous quarter of 2018. In the third quarter, there were 10,873 mortgage drawdowns valued at €2.4 billion. In total, some 40,203 mortgages to a value of €8,722 million were drawn down in 2018. This represents an increase of 19.7% in value and 15.5% in volume on the total in 2017. “A comparison of total drawdown activity in 2018 shows a near 20% growth over 2017. In effect, €1.44 billion more (19.7%) was drawn down in 2018 than in 2017 by mortgage borrowers. Almost half of this was by first time buyers – by far the single largest segment of the market,” O’Regan said. There were 9,613 purchase mortgage drawdowns, valued at €2.2 billion in the fourth quarter of 2018. Purchase mortgage drawdown activity rose in volume terms by 10.4% year-on-year and increased in value terms by 11.5% over the same period. 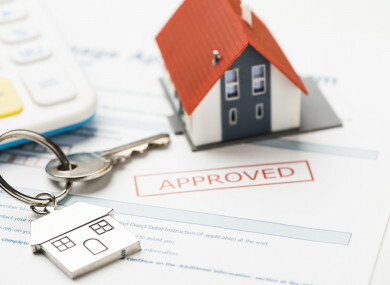 When it came to approvals in the last quarter, there were 2,908 mortgage approvals, valued at €656 million. In December, there were 2,908 mortgage approvals, a 29.1% decrease on the previous month. Mortgage approval activity increased by 5.9% year-on-year and increased in value terms by 9.6% over the same period. Despite the dip in the volume of mortgage approvals, the BPFI says this is just down to the time of year. “While end-of-year approval activity showed some sign of slowdown due to seasonal factors, the indications are that 2019 will see continued growth in mortgage drawdown activity,” O’Regan said. Of the mortgage approvals in December, 46.9% were FTBs while mover purchasers accounted for 28.5%. Mortgages approved in December 2018 were valued at €656 million – of which FTBs accounted for €301 million and €220 million by mover purchasers. Together, FTBs and mover purchasers accounted for 79.9% of the total value of mortgages drawn down. During 2018 a total of 45,656 mortgages were approved to the value of €10.1 billion. Email “Over 12,000 mortgages worth €2.6 billion drawn down in the last three months ”. Feedback on “Over 12,000 mortgages worth €2.6 billion drawn down in the last three months ”.